It is sad to see what Luke Shaw has been relegated to at Manchester United. The once prized youngster has made just two appearances this season, the latest of which came in the 87th minute of their Carabao Cup tie against Swansea City. At that point, the scoreline sat at a decisive 2-0 in favor of United. The substitution wasn’t made with the intention of drastically changing the course of the game. If anything, it served as a saddening insult to the 22-year-old. According to The Guardian, the friction has been due to Mourinho and Shaw disagreeing with the attitude of the English defender. 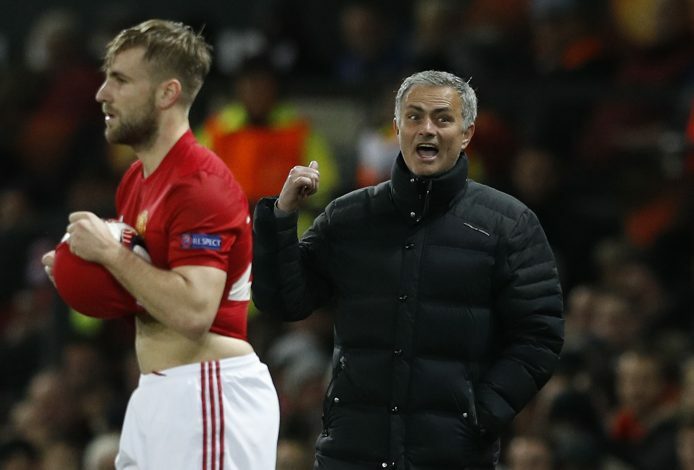 While Shaw might undoubtedly feel that he is giving his best, the ex-Chelsea manager seems to be having none of it, and it is likely that the full-back’s spell on the sidelines will continue. However, Mourinho might not be entirely wrong here. The flawed attitude was in full sight during an U-23 match that the defender featured in. Rather than viewing it as an opportunity to come into the good books of the boss, Shaw delivered a lackluster performance that only served to cement his negative analysis. Alas, he too cannot be fully blamed here. A series of unfortunate and drastic injuries have plagued him since his move to Old Trafford in 2014. The prominent one amongst these was a double leg break in 2015 that saw him miss out on a period that would have otherwise been instrumental in a growing player’s career. Now, having to sit out and being deprived of first team action ever since the pre-season tour seems to be taking a toll on the youngster. Supporters shouldn’t be surprised if the defender was to seek a move away from the club, and it doesn’t seem that Mourinho will be in any hurry to convince him to stay either.